Believe it or not, freight cars that are used for international traffic sometimes go missing. Mark Damen of Dual Inventive compares it to misplaced suitcases at the airport. “The shunting of trains something goes wrong.” That is easy to fix with with the Internet of Things (IoT) track and trace system TRT 3000. Lost freight cars are a big problem in logistics. And yet it is a problem that is easy to overcome, according Mark Damen of Dual Inventive. “If you equip each car with a smart sensor, you always know where the freight is,” he says. That smart sensor is now available: the TRT 3000. A track-and-trace device that ensures that transport companies know exactly where their cargo is. 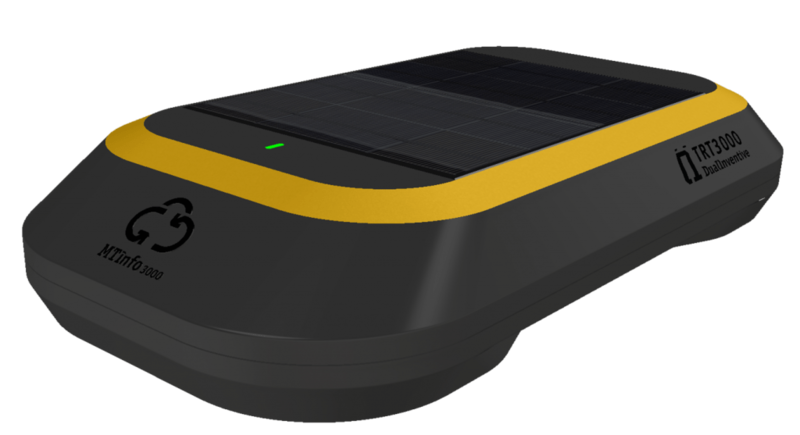 The TRT 3000 is equipped with an integrated solar panel and can, therefore, be used indefinitely. This system not only monitors the equipment but also wirelessly provides detailed information about the environment. The sensor is placed close to the freight, such as in a container. As a result, data about vibrations, temperature and air humidity can be passed on to the carrier. And that information is very important because dangerous goods are transported in some freight cars, such as oil or chemicals. And nothing should go wrong with this transport. If that happens, emergency services can act quickly via TRT 3000. Sign up for the newsletter and receive our latest messages directly in your inbox! When you use this form, you agree to storage and processing of your data through this website.